The original post post was published on the Mapping for Niger website. It is republished here with the team's permission. 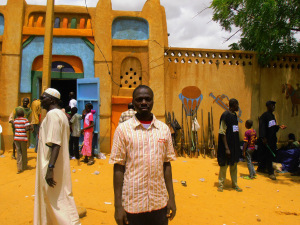 Mapping for Niger is a Rising voices project. 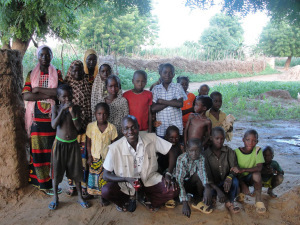 The Open Street Map-Niger community has been mapping the Niger territory for a year. We have worked together over the year with a strong team spirit, mutual understanding, dynamism and dedication. This volunteering work took us across the Nigerian territory, mapping the coordinates of various places such as mosques, health centers and schools. We took pictures of many touristic sites. Finally, this project allowed us to master GPS technology and a number of software programs. 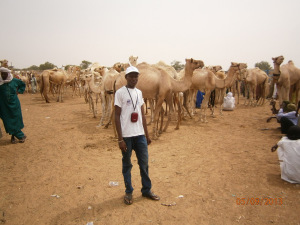 As a Mapping for Niger volunteer, I have had many scientific, cultural, economical and social opportunities. This includes through blog posts, Facebook updates, and Flickr. 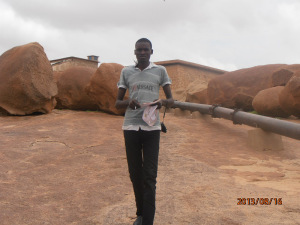 I also learned to use the GPS for geographical data collection on the facilities in Niamey, Dosso and Massama, as well as to edit the data with OpenStreetMap. Happy birthday Mapping For Niger! As a member of the Mapping for Niger project that celebrates its first birthday, I am proud to be deeply affected by the path that the project took and still takes on the ground and in social media. 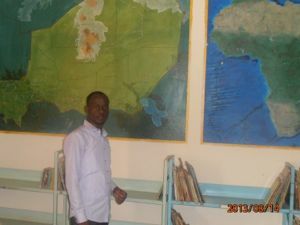 Niger in general, the Abdou Moumouni University in Niamey and especially the Geography Department are more well-known thanks to the project. I am really honoured and proud to be part of it. I could learn many technical things as well as making my country known better. Kudos to all the members and especially to Orsolya for their efforts! 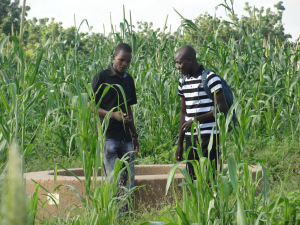 This project, led by the geography students of the Abdou Moumouni University in Niamey, has completed several activities. Among them, the outing to my village Massama, via the town of Dosso, with other project members, made a deep impression on me. Each one of us mapped his or her own town or village (Zinder, Niamey, Tahoua, Madaoua…). Also, participating to the 2014 Niamey International Forum for the French-Speaking Youth and Green Jobs FIJEV [Forum international francophone jeunesse et emploi verts] was amazing. Not only could we strengthen our intellectual abilities thanks to the Mapping for Niger project, but we could also become familiar with the difficulties and benefits of team work, which is important in our professional life. This project already trained a great number of geography and digital mapping students. Each of them got an expertise out of it. Therefore today, I am filled with joy and gratitude that I could benefit from this training. 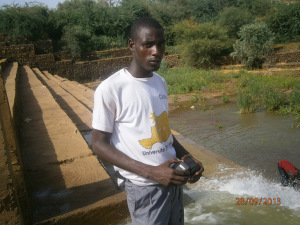 Happy Birthday to the Mapping for Niger project! Yes, already one year of intense activity. It is important to describe the difficulties that punctuated all the training paths this project has known. 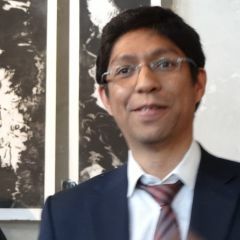 To this effect, it would be ungrateful not to mention the Abdou Moumouni University in Niamey and its Geography Department that was willing to promote expertise in geography and housed the framework of this digital mapping project. Praising this project needs a tangible argument based on facts. We students are happy to be members of the Mapping for Niger Project. Even a minor human work requires a level of organization based on a model. 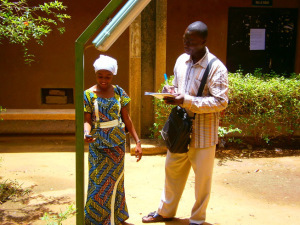 The Mapping for Niger project is one of the rare student volunteering projects in Niger. We had some difficult times during the training but to us, these moments remain a strong basis and a reason for hope. After such effort, the light will come again and will help us progress towards success and development.